The error: Oops. Apparently I’m going to need a new saddle, since after about five minutes, the resounding opinion was, “This is delightful.” Just putting this out there for people: Just because your horse is 20 years old, doesn’t mean they don’t stop growing/changing/driving you nuts on saddle fit. And just because we’re not competing anymore doesn’t mean she doesn’t still deserve to be just as comfortable when we do ride. Over the past couple of months, I’ve been noticing a decrease in forward enthusiasm and an increase in bitchy mare face when initially asked for a trot. 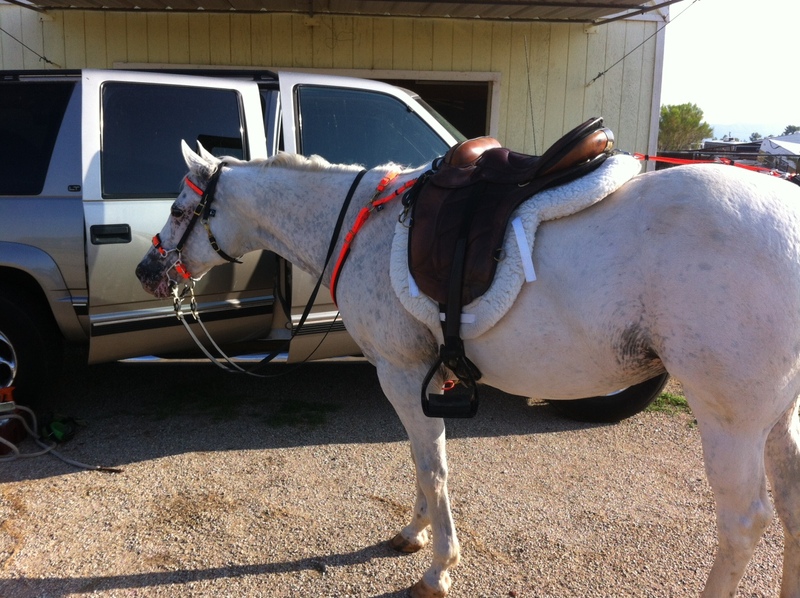 I’ve seen this before, and it usually involved the need for a new saddle. This time, I kept hoping maybe it was just related to her getting older and crunchier. Apparently not, since she even wanted to canter again today, something she’s been increasingly reluctant to do. 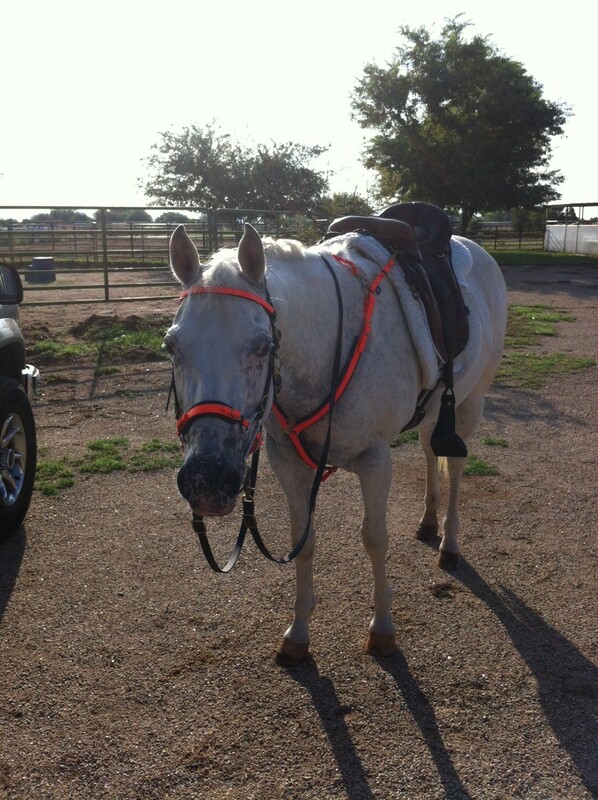 And so begins the great saddle hunt, scouring the internet for a good deal on a used saddle. My preference is for a Sensation, since they’re really well-made saddles, I love the weight-distributing stirrup hang options, and they seem to have quite a bit of “structure” for a treeless. Personally, I would really like either the english trail or dressage trail model. I’ll test the one on loan for a few more weeks, just to make sure we both really like it (although based on Opinionated Pony and how strongly she lets me know whether she likes something or not, I’m thinking she likes this one), and hopefully will be able to find something that fits what I’m looking for. Because, really, how can you say no to this face? Thank you for this brief interruption…we will now return to our regularly scheduled Tevis programming, at least for the next few posts. How nice! It looks lovely. 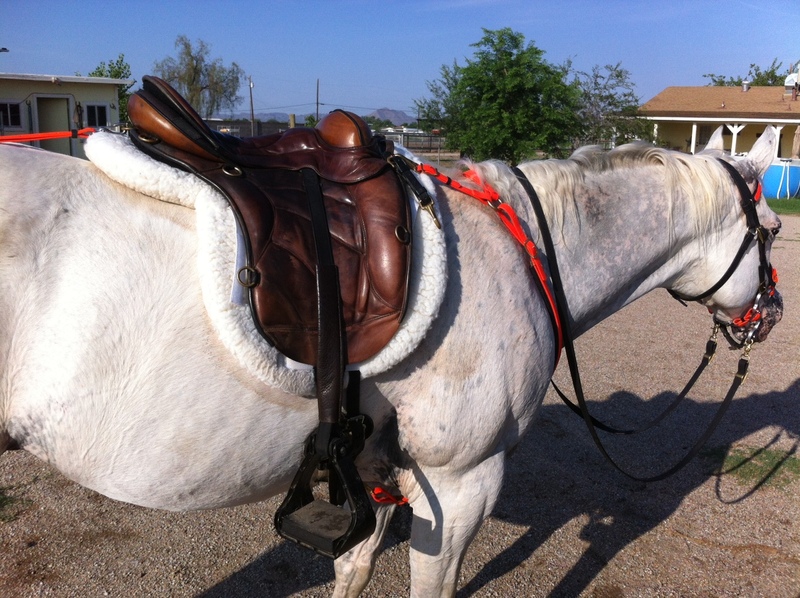 I really liked the Sensation that I tried, especially the hard use stirrup setup. I tried a couple but they didn't fit me quite right, I was disappointed. 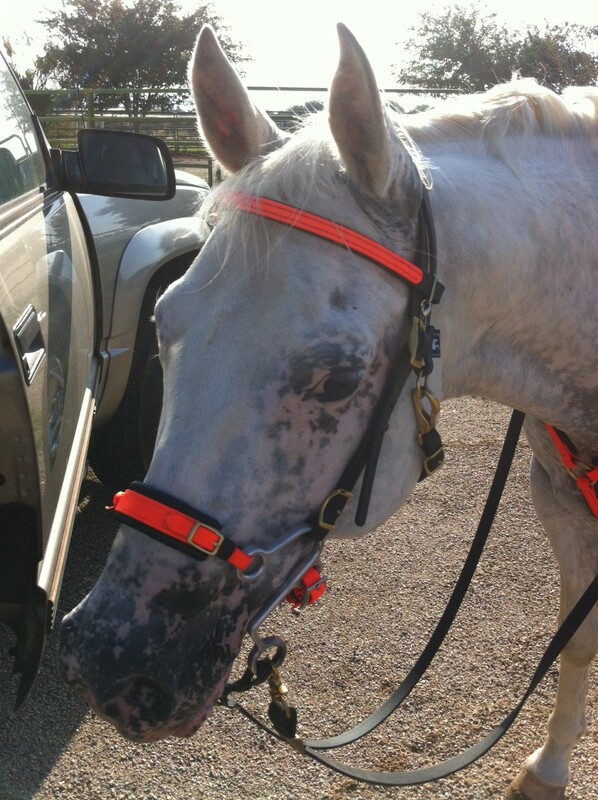 Be sure to check out the yahoo treeless saddle group, people often post for sale on there.